In the second half of September, each and every year, world leaders gather in New York for the annual high-level meeting of the General Assembly of the United Nations. It is like the annual town hall meeting of the planet, an opportunity for presidents, kings and prime ministers, to make public statements on the big issues facing their countries and our world as a whole, and to discuss privately possible solutions to the thorniest among those issues. 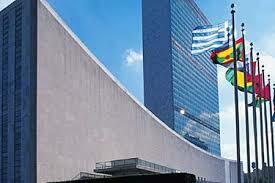 Not all 193 countries that are members of the UN are represented at the highest level. Some send only their foreign ministers, or just have their resident ambassadors to the UN speak. In this parade of leaders, or circus if you wish, Europe has a numerous and colourful team. Well, colourful and numerous it is for sure, a team not exactly, though. In addition to the leaders of the 28 EU member countries, who speak for their respective governments, the European Union is also represented by the President of the European Commission and the President of the European Council. So “Brussels” is also there, in addition to Berlin, Paris, Rome, Stockholm, Bratislava, etc. Because “Brussels” is not a country, it has some (complicated) kind of global diplomatic representation and observer status at the United Nations. Senior European officials often get good speaking slots at UN events, not least thanks to the money they have to spend on good causes and the good relations with the host, the UN Secretary-General. Let us briefly see what happened this year, how the EU representation positioned itself at the high-level stage in New York. Commission President Barroso, in his last global performance before leaving office at the end of October, participated in the UN Climate Summit of 23 September. He went there with the outgoing commissioners for climate action and development cooperation, Connie Hedegaard and Andris Piebalgs respectively. President Barroso repeated positions announced by the Commission earlier, that is that it will dedicate 20 per cent of the EU 2014-2020 budget to climate action inside and outside the EU (some 180 billion euros in total), and that EU member states will hopefully agree to a greenhouse gas emissions reduction of 40 per cent and increase in the renewable energy share to 27 per cent by 2030. In the same meeting heads of state or government from Austria, Denmark, France, Hungary, Ireland, Lithuania, the Netherlands, Slovenia and many other EU countries made their own statements and announced their own commitments, in terms of money to the Green Climate Fund (which the Commission did not do) and steps towards climate neutrality. Outgoing European Council President Herman Van Rompuy had among his UN assignments to speak at the General Assembly, where he covered a range of issues, including the conflict in Ukraine, Iraq and Syria, sustainable development and the Ebola crisis. Of course, the 28 countries of the EU also spoke at different times there, many represented at the highest level. Mr. Van Rompuy also spoke at the Security Council Summit that was chaired by US President Obama on 24 September. He spoke as an observer on the issue of foreign terrorist fighters. When the time came, however, for a vote on the draft resolution, Mr. Van Rompuy had no vote to cast, unlike the President of France and the Prime Minister of the United Kingdom, who were sitting at the actual Council table, because their countries (but not the EU) are permanent members of the Security Council. In the same period Catherine Ashton, the EU High Representative for Foreign Affairs & Security Policy and Vice President of the European Commission, was chairing talks on resolving the issue of Iran’s uranium processing. Add the active presence of other Commission members, like Kristalina Georgieva, responsible for humanitarian aid and crisis response, and you get a picture of a lot of “Brussels” action in New York, usually in parallel and in addition to that of high-level representatives of EU member states. If that were a well-coordinated “blitzkrieg”, to take over UN headquarters by Europeans disguised in various forms but working for a common purpose, one could applaud the cunningness, strategy and coordination of this emerging global power called Europe. Things seem to be much more mundane, though. The EU institutions add an extra layer of representation of Europe at the UN, without really affecting most hard-core political issues, especially in terms of global peace and security. London continuous to do its own planning with its Commonwealth contacts and residual imperial practices; similarly Paris with its Quai d’Orsay bureaucracy and traditions; Germany and Italy and Spain and Poland carry their respective weight around; the medium- to small-size Scandinavian states continue to play the nice guys and to spend money on good causes, thus enjoying major-country influence on the UN agenda, and so on and so forth. Imagine the day when Europe will speak in one voice that will be respected globally, on a par with other continental power houses like the US, China or even India, Russia, Brazil? Well, certainly that day is not here yet. This entry was posted in EU, UN and tagged Ban Ki-moon, Baroso, Catherine Ashton, Connie Hedegaard, EU, France, Kristalina Georgieva, UK, UN, Van Rompuy on Wednesday, 1 October 2014 by Georgios Kostakos.